Intel has announced that their Cannonlake CPUs, slated for a late 2017 release, will be made on a 14nm process instead of 10nm as originally planned. Intel has confirmed in an announcement during its annual Investor Day that the Company's 8th generation processors, code-named Cannonlake, will remain on the 14nm process. 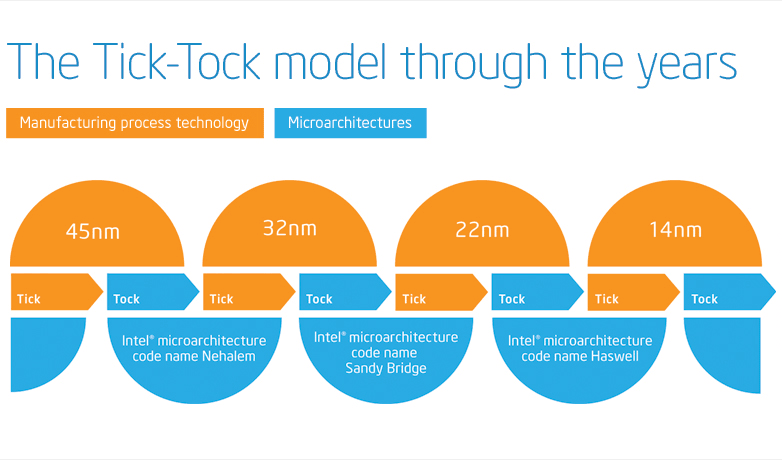 Cannonlake was originally slated as a 10nm chip, but this news alongside continual delays suggests that Intel has run into numerous unexpected difficulties with the new architecture. Cannonlake will now be Intel's fourth 14nm chip in a row. Intel recently announced that their 8th generation core processors would be released in late 2017 (possibly Q4), and claimed that they would perform about 15% faster than their 7th generation Kaby Lake counterparts. Where Kaby Lake is mostly an upgrade over Skylake in terms of battery life and hardware video decoding, it isn't yet clear how Cannonlake will be advantageous over Kaby Lake. While Intel is currently researching smaller processes for the future (namely 7nm), the timeline for full-scale production of such chips is 3-4 years away at least.